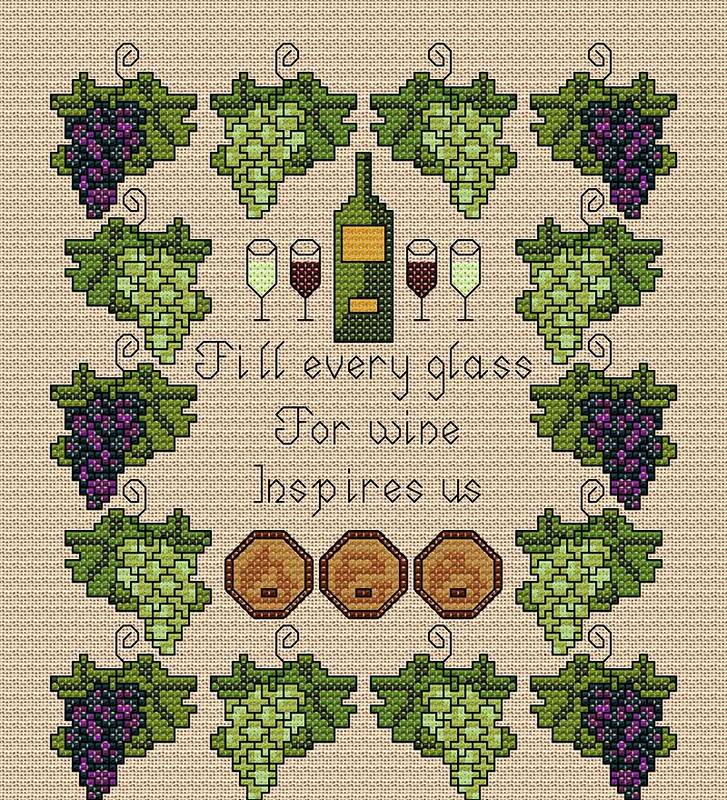 I will not make any excuses about my love of good wine and an excuse to stitch just that! Worked in cross stitch with a little backstitch outline, this could be worked on linen or Aida fabric. There are a few fractional stitches so stitching this on linen is probably simpler.